This holiday season, pamper your smile with a teeth whitening treatment! Find out how you can achieve brilliant teeth almost instantly, with an in-office or at-home whitening treatment—or both! Give yourself or your loved ones the gift of confidence with a brighter, more vibrant smile! 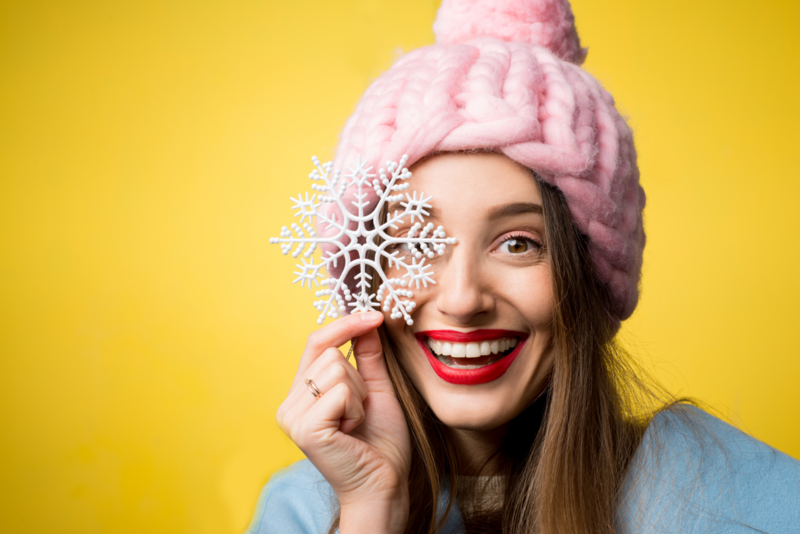 The holidays are a busy time of year, so you probably want your whitening process to be quick and simple—just in time to dazzle at all those holiday gatherings! An in-office tooth whitening treatment takes about one hour, and you can enjoy your results right away! Before treatment, we use a shade guide to determine the current shade of your teeth, and discuss a little bit about what kinds of changes to expect, based on tooth color. At Schultz Family Dental, we use GLOScience bleaching products, so we’ll walk you through the process! We first apply a protective lip balm and place retractors to isolate the teeth for the bleaching process. A protective gel is then applied to your gums, and hardens with a curing light. We’ll apply a tooth whitening gel to the teeth, and watch the transformation! GLOScience incorporates closed-system technology, so the blue glow from the mouthpiece is actually heat gently warming and accelerating the whitening gel—resulting in faster, more efficient, and longer-lasting whitening—without the sensitivity! Our patients are always amazed at the instant results! If the convenience of whitening at home is more appealing, your teeth can also benefit from our Opalescence take-home whitening kits. Once you’ve received your custom-fit whitening trays and gel from our office, you can whiten whenever and wherever you’d like! Depending on the amount of whitening you want to achieve and the sensitivity of your teeth, you can choose from two different gel concentrations. You might leave the trays on your teeth for 30 minutes at a time, or for a whole night for maximum results—depending on the product concentration. At-home whitening treatment can be done alone, or after a professional whitening treatment to maintain your brighter, whiter smile! Along with using take-home whitening products, there are also some other things you can do to avoid staining, and to maintain the results of your bleaching treatment. Extrinsic or superficial stains on the teeth can develop from drinking dark liquids such as soda, red wine, tea, or coffee. Avoiding or reducing the amount of dark-colored drinks you consume can help minimize staining. Dr. Schultz’ rule of thumb after an in-office bleaching treatment is to avoid anything that can stain a white t-shirt for 48 hours (including tobacco), since your teeth can become more susceptible to staining immediately after treatment. Whether you choose to have treatment done in our office or at home, Dr. Schultz can help you achieve a smile you’ll be confident showing! Contact our office today to schedule your appointment!